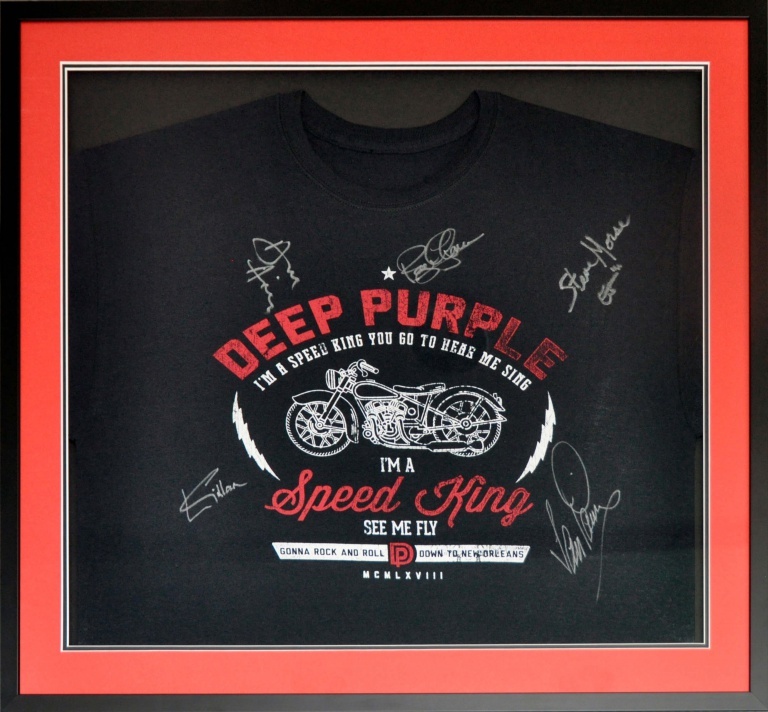 We have recently framed this Deep Purple tee shirt, signed by the band. The photo does not do it justice as it looks the biz. Well done Nadim … your a highway star! !